The first club walk of 2018 took place on Sunday 7/01/18. On a cold but clear dry morning we left Kanturk at 09.00 approx and headed to Killavullen to walk the Loop walk on Corran Hill. We parked up at the designated parking site at Killavullen Cemetery. There was a good turn out for this walk, which hopefully will be the first of many this year, following on from a very successful 2017. The walk is classed as a grade B. 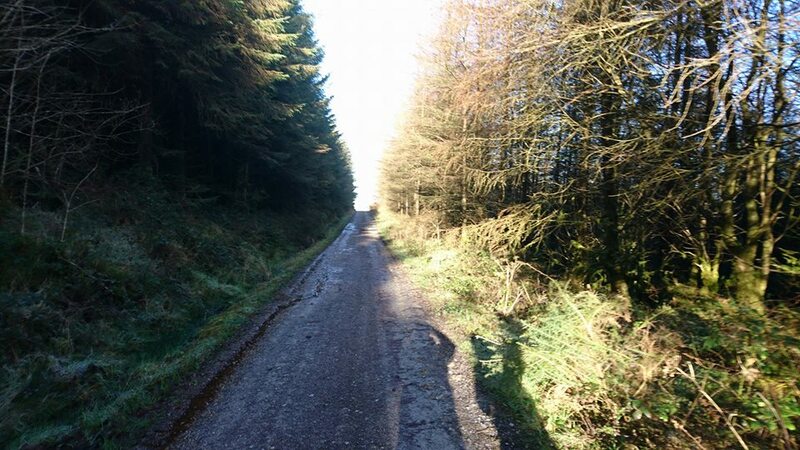 There is a little bit of road walking before we turn right onto what was once the Cork road. The walk is on forest roads and tracks and as you gain altitude some fantastic views open up over the Blackwater Valley. 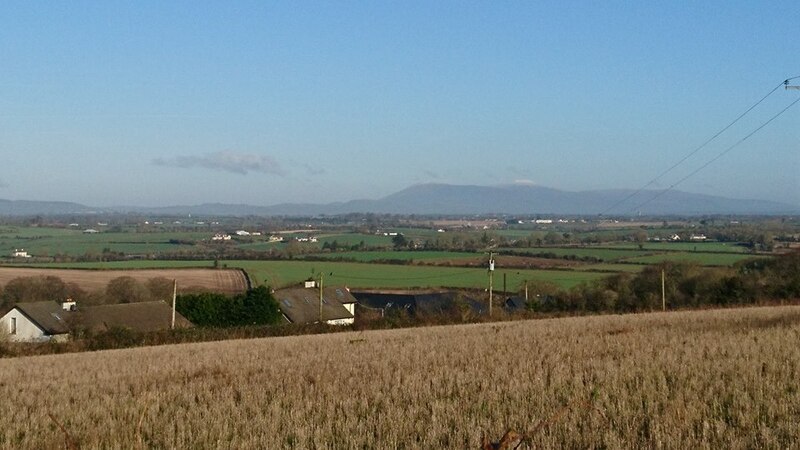 The Ballyhouras are to the north, while the snow capped Galtees are to the north east. Kilworth mountains and the Comeraghs are to the East.While the Boggeragh are to the west. 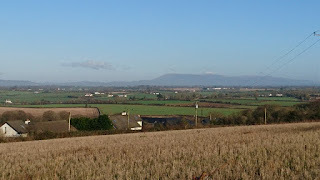 The villages of Shanballymore,Killdorrery, Castletownroach can be seen in the distance. The day was quite cold but an excellent day for walking. The mountains overlook the birth place of Nano Nagle ( 1718 - 1784 ) founder of the Presentation Sisters. Also from the slopes the birth place of Richard Hennessy (1724-1800 ) at Ballymacmoy house overlooking the Blackwater can be seen. He went to France in 1740 and became an officer in Dillons Reigment in the French army. He went on to found the famous Hennessy Cognac company that still has direct descendants of him involved. The walk is approx 12 kilometers but due to a navigational error we didn’t complete the full walk and shaved about 1 1/2 kilometers off it. 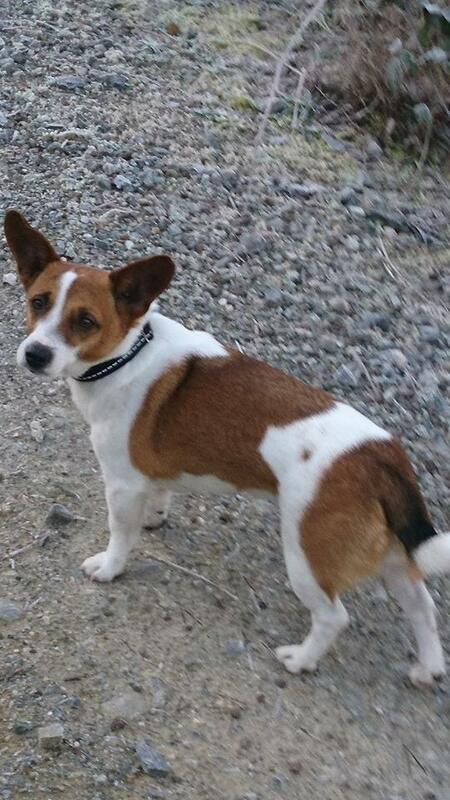 I think Daisy our newest member was delighted with the shortened version. We never made it to the top. Fail to prepaid, prepaid to fail. Anyway it was a most enjoyable walk in perfect conditions. People were glad to shake off the remnants of Christmas and put their best foot forward for 2018. We stopped off at the Gallery bar in Mallow for food to round off a good day out. Hiking and happiness go hand in hand or foot in boot...... Diane Spicer.. Copyright @ 2015 Kanturk Climbers. Picture Window theme. Powered by Blogger.